A good soundtrack can make or break your YouTube videos. The right music can help convey your message or enhance emotion. However, you cannot simply download and use tracks from the Internet. Using music you don’t own the rights to can damage your reputation and empty your pockets. Yes, copyright infringement is not a joke. Plus, it will leave your videos like a silent film. YouTube’s audio ID technology automatically scans and detects copyrighted songs inside videos. Just like stock photo libraries, stock audio agencies license music for certain applications. They also involve lengthy legal agreements on restriction use. You can find reasonable costs in some stock music sites, offering rights from $3 to $60 depending on the license you choose. If you are looking for high quality for your clients, we recommend Shutterstock music which costs $49 for the Standard license. This may be the best option to impress your clients. A pay-per-use license may be your best bet if you are looking for a specific sound. Unlike stock music, most options are from professional, but not well-known artists. Along with it comes a higher price. The costs depends on your creative needs. If you need a specific song, you will have to pay more. We don’t tolerate downloading music for videos in search engines as they come with more risk than rewards. We suggest you get your music the legal ways with the above options. 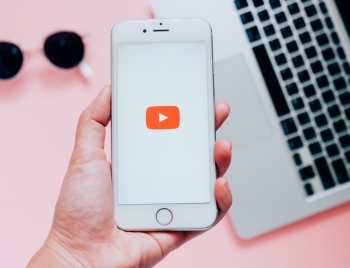 Have you used any of these ways to soundtrack your YouTube videos? If not, what other sources have you used? Let us know in the comments below.